Both my daughter and I had crab cakes last week in Baltimore at Jimmy's, and we were ready for more since we found ourselves back on the Atlantic coastline. 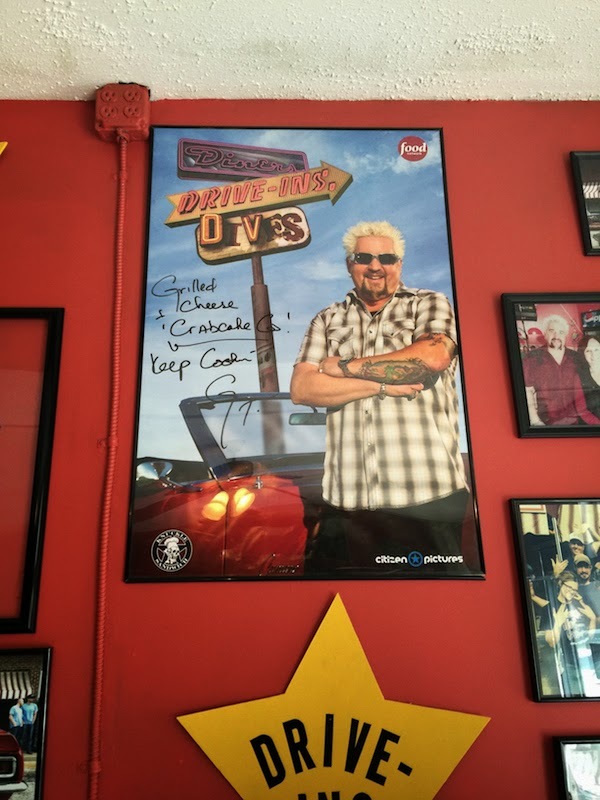 Read my review of the grilled cheese crab cake sandwiches at The Grilled Cheese and Crab Cake Company near Atlantic City as seen on Food Network's Diners, Drive-Ins and Dives with Guy Fieri after the break. 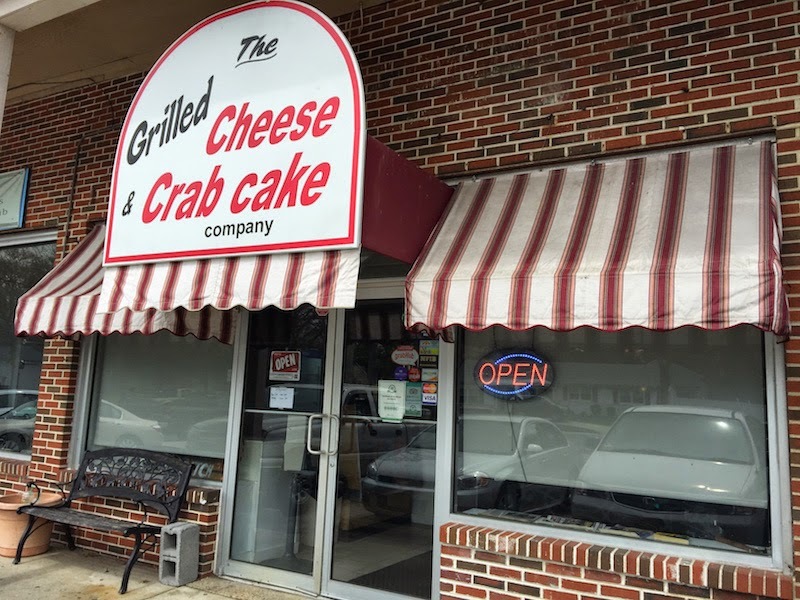 The Grilled Cheese and Crab Cake Co. is in Somers Point, just south of Atlantic City. It is easy to miss driving down the highway so I'm glad I found out about it from the episode on DDD. These sandwiches are delicious. The crab cakes are prepared separately, and they are meaty and fresh. Then they are grilled into the cheese sandwiches. They take about ten minutes to prepare, and its worth the wait since they are so good. 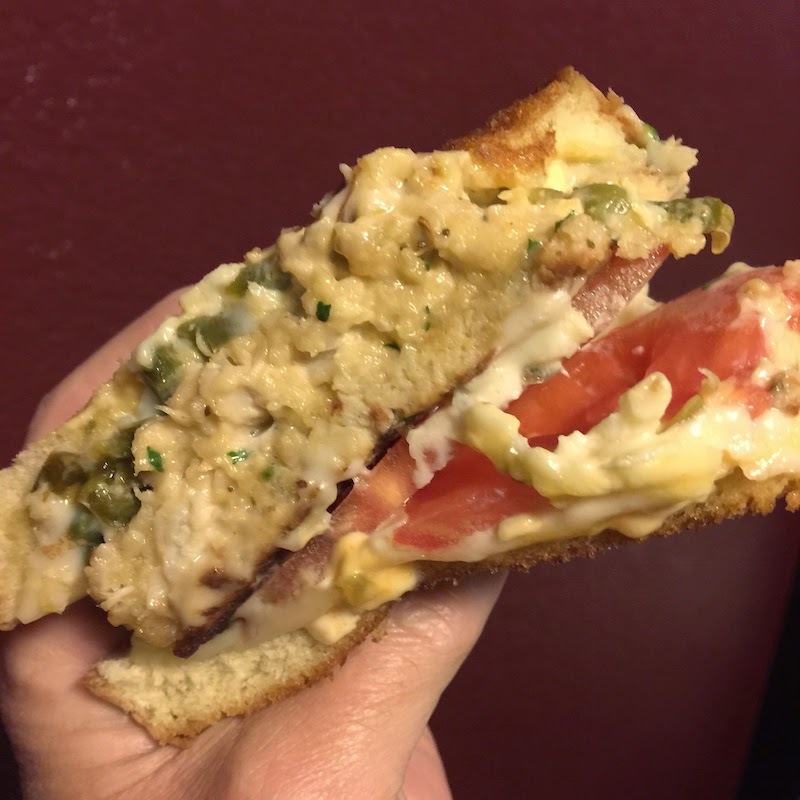 The cheese and the grilled crab cakes blend together perfectly. 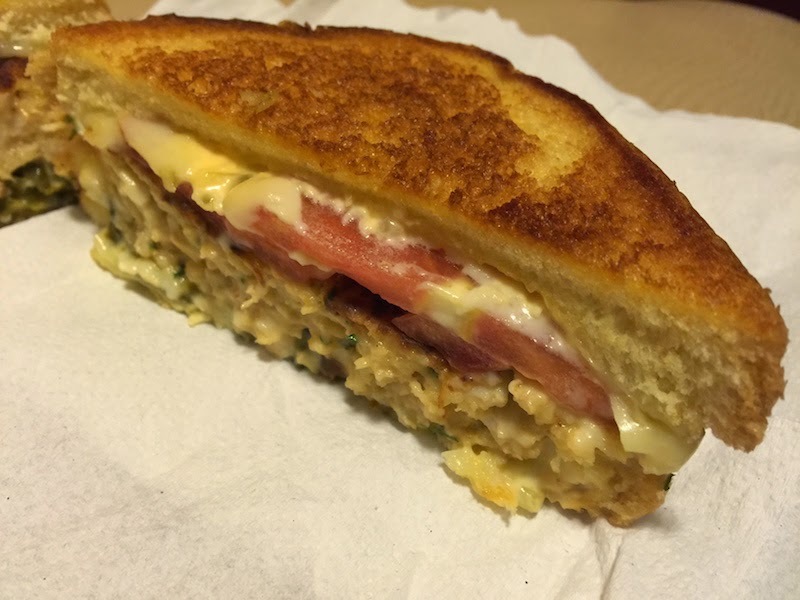 The Angry Crab Melt is a grilled crab cake, tomato, Monterey Jack cheese, jalapenos, and Sriracha tartar sauce. It's pretty hot! And delicious.